Tucked away in Northwest Vietnam, lies one of the most spectacular and lesser known regions of the world. Sapa is a township in Vietnam that is surrounded by 17 villages, some much smaller (300-3000 people) than others. Though occupied for thousands of years before the French, who first arrived in the 1800s, it was during colonial French rule that Sapa became famous as a stunning “hill station.” The true beauty of this area lies in the picturesque villages just outside the town of Sapa. I stayed in Lao Chai village. 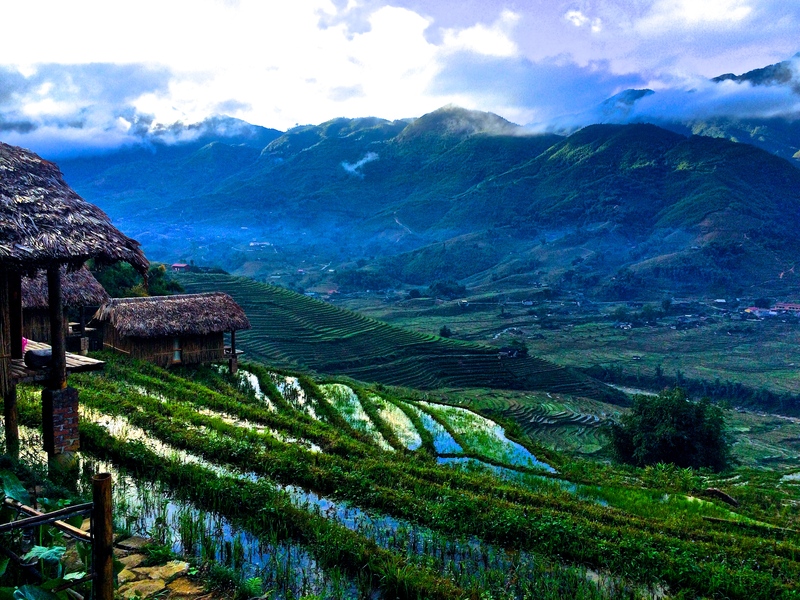 In the villages surrounding Sapa, travelers will find farms for water buffalos and rice paddy fields. When visiting Sapa, you will have spectacular views of terraced rice paddies built along the magnificent hills and mountains. 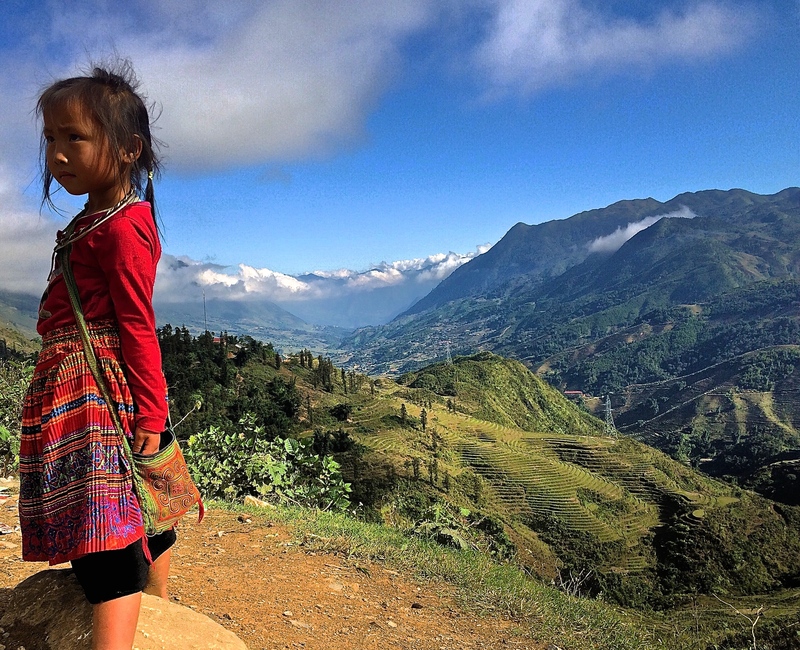 Several hill tribes live in the region of Sapa. These include not just the Kinh people, or ethnic Vietnamese, but also eight different ethnic tribes. Experiencing the culture here is just as rewarding as taking in the magnificent scenery. The Hoàng Liên Son mountain range is found in this area and is actually the eastern end of the famous Himalaya mountain range. Fansipan, also called “the Roof of Indochina” is a mountain in Vietnam that is just 9 km from Sapa. It is 10,312 feet high (3,143 metres) and is the highest in Indochina (made up of Vietnam, Laos, and Cambodia). Trekking to the top can be arranged from local tour companies and takes 2 to 3 days. This region of Vietnam is very close to the border of China, with the train station at Lao Cai being just a 40 minute walk to the border crossing to Hekou in China. Sapa has a cold climate compared to the rest of Vietnam, so bring a jacket. In January, the low can be near 50 degrees Farheinheit (10 degrees Celsius). In June, the temperature rises to the 70s (20-21 Celsius), but still not very hot at any time of year. You will definitely want to bring some good hiking shoes or sneakers to take advantage of all the trekking opportunities here. A backpack, camera, and sunglasses are essentials as well. To get to Sapa, travelers should fly into Hanoi. Cheap flights to Vietnam can be found on local Asian carriers from several cities. Direct flights to Vietnam (Hanoi airport code: HAN) can be found from London, Paris, Tokyo, Hong Kong, Shanghai, Bangkok, Seoul, Kuala Lumpur, and Guangzhou. Once in Hanoi, take the overnight train to Lao Cai train station (close proximity to the Chinese border). An overnight train costs anywhere form $20 pp – $40 pp depending on how luxurious you want it to be. Once you get to Lao Cai station, you have to take an hour-two hour car ride (depending on traffic) to Sapa. From Sapa, you can take a taxi to the village you are staying in. 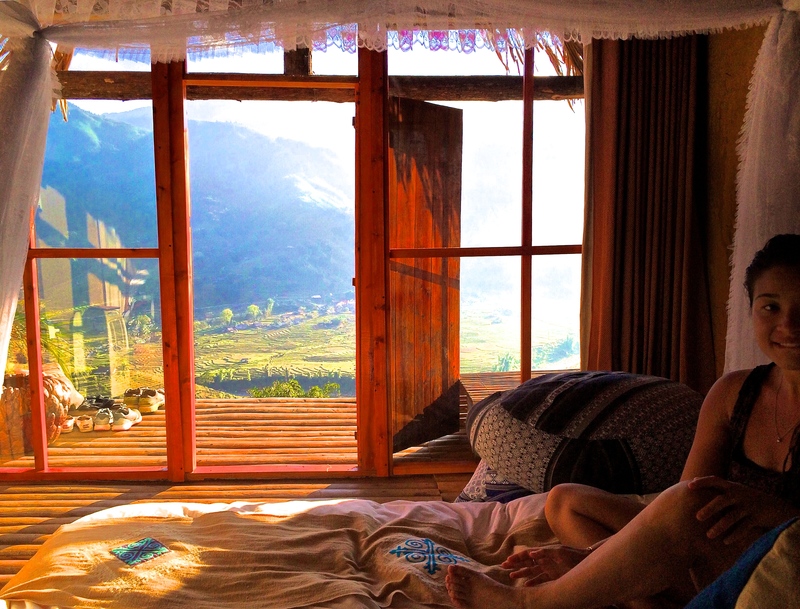 Travelers can just stay in Sapa, but I recommend getting out of the city life to be in the remote farmlands. A less popular option for traveling to Sapa is by an overnight sleeper bus from Hanoi. While it is only $10 (at the time of this post), road travel to Sapa is more dangerous, and the train is recommended. 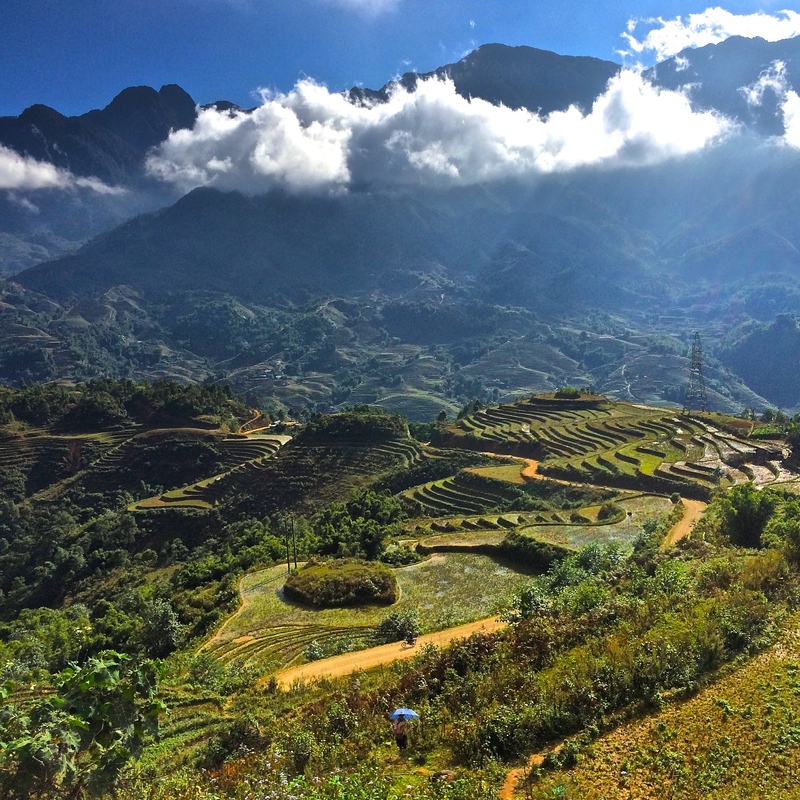 Trekking around Sapa is highly recommended – you can get a guide when you get there for $40 for the entire day. The food here is also very famous. Locals steam the rice inside a bamboo so you crack the bamboo open to eat the rice. It was amazing! 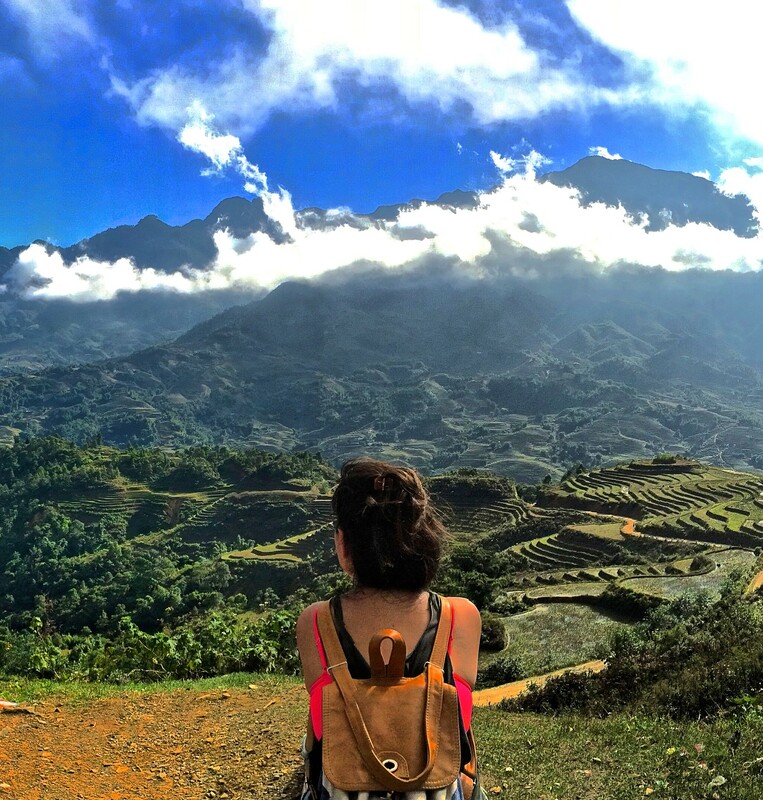 Thanks to travel expert / global guru / doctor Simi for sharing her tips on Sapa, Vietnam!